If it has been some time since your last dental visit, you may benefit from seeing a dentist in Denver. Many of our patients once had amazing smiles that they neglected for some time. Others were in traumatic accidents that damaged their teeth. Whatever your case may be, restorative dentistry can help you get your old smile. From fixing a problem tooth to replacing an entire set of teeth, we offer a variety of restorative procedures. Restorative dentistry refers to the process of repairing or replacing teeth that have extensive damage. The dentist can sometimes save a tooth before it is lost. Your teeth are meant to last your entire life. However, life can get in the way of taking care of your teeth, so restorative treatments are your last hope. If the dentist cannot save a tooth, they will recommend a few tooth replacement options. In some cases, you will need an entire full set of teeth to ensure no future damage occurs. The following list includes some of the more common restorative dental procedures dentists use to restore teeth and ensure good oral health. Dental crowns are used to repair teeth that are broken, cracked, chipped or very worn down. Anytime a tooth has received some damage, whether it is from bad oral care or an accident, it is in jeopardy of being lost. A crown completely covers a damaged tooth, which restores its strength and integrity. It allows the tooth to remain in the mouth and function properly. Dental implants are growing in popularity since they look and function just like natural teeth. The process can be lengthy but produces amazing results. A surgeon inserts the implant into the jawbone where it acts as an artificial tooth root. Once the surgical site heals, the dentist can then attach an artificial tooth to the implant. This tooth will blend in with the surrounding teeth. It can withstand the daily demands of chewing and talking, giving you a more natural replacement. Dental bridges are another option used for patients who are missing teeth. The dentist placed the bridge in the gap left by the lost teeth. The bridge will attach to the nearby teeth and hold an artificial tooth. You may think dentures are outdated, but there are many modern options available when you visit our dentist in Denver. 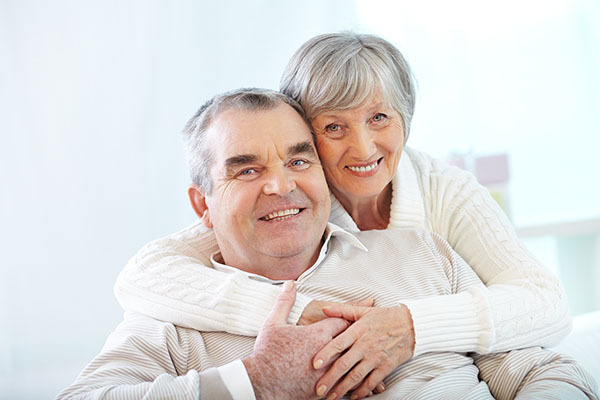 Depending on your needs, you can choose from full dentures, partial dentures and implant supported dentures. Are you in need of restorative dentistry? If your teeth are damaged or discolored, restorative dentistry can help. The sooner you see a dentist for treatment, the faster you can get back your old smile. Choosing a dentist can be challenging, so we have made it simple for you. All you must do is call our dentist in Denver and visit the office. We will work with you to restore your smile. Request an appointment here: https://www.thedentistindenverco.com or call Gregg L Lage DDS, PC at (303) 532-8895 for an appointment in our Denver office. © 2019 Gregg L. Lage DDS, PC. All Rights Reserved. © Copyright 2019 Gregg L. Lage DDS, PC. All rights reserved.